"You want to be king, you have to kill the king." Saban Films has debuted the official trailer for the action comedy titled Killing Gunther, starring the one-and-only badass Arnold Schwarzenegger as Gunther. This looks hilarious and much better than any of the other self-parody work Schwarzenegger has done recently. The plot is about a group of eccentric assassins who are fed up with Gunther, the world's greatest hitman, so they come up with a scheme to kill him. But of course Gunther turns out to always be one step ahead. Along with Schwarzenegger, the film features Cobie Smulders, Hannah Simone, Taran Killam, Allison Tolman, Aaron Yoo, Peter Kelamis, Alex Duncan, Amir Talai, and Bobby Moynihan. Seriously, this looks pretty damn amazing, the kind of action comedy we need more of. I'm so down for this. 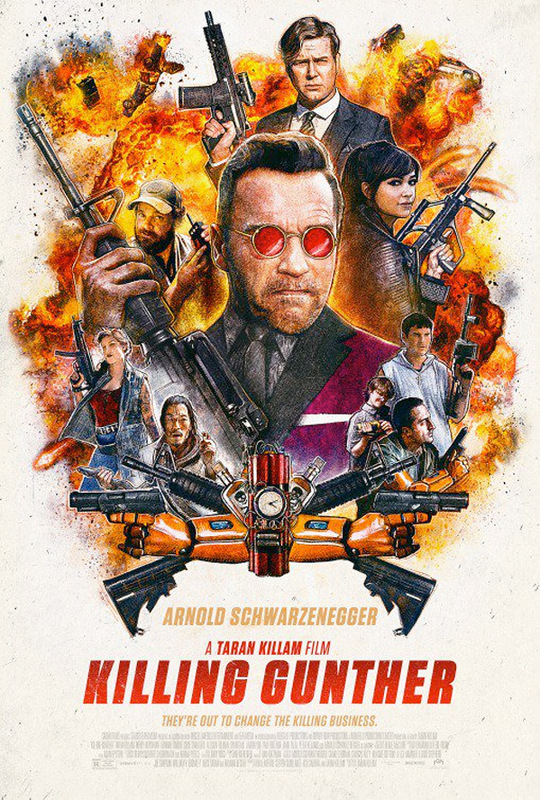 A group of eccentric assassins are fed up with Gunther (Arnold Schwarzenegger), the world's greatest hit-man and decide to kill him but their plan turns into a series of bungled encounters as Gunther seems to always be one step ahead. Killing Gunther is both written and directed by young American actor-turned-filmmaker Taran Killam, making his directorial debut with this film. Killam also produced the film along with Kim Leadford, Steven Squillante, and Ash Sarohia. This hasn't yet premiered at any film festivals or otherwise. Saban Films opens Killing Gunther in select theaters + on VOD starting October 20th. You in?